Kala is known for quality and value. We have a wide range of ukulele, from our inexpensive and durable Waterman® to our heirloom-style, California-made Solid Hawaiian Koa Elite USA models. RG, SA, Gio, Artcore and Artstar, AE, Artwood, AEG, Talman and EWP, Gio, SR, MiKrow, and Talman. We stock a large selection of Yamaha acoustic guitars including the brand new FG800 Series lineup. 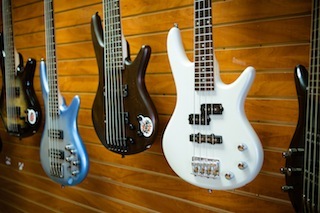 Stop by our store today and try out these great sounding and affordable guitars. Subscribe to our e-newsletter to get important Product News, Store Promotions and Community Event Announcements. © Falcetti Music. All Rights Reserved.